Theories about protein digestion and absorption, have evolved in the last 50 years. Initially it was thought that the vast majority of luminal proteins were completely hydrolysed to free amino acids before absorption from digesta (Cohnheim, 1901; Van Slyke and Meyer, 1912; Wiggans and Johnston, 1959). 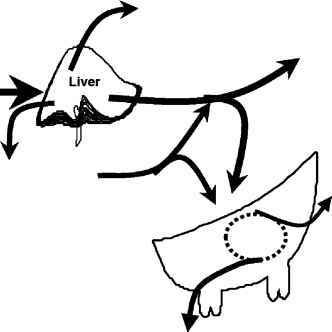 However, this classic hypothesis was challenged by an early report that at least dogs were capable of absorbing appreciable amounts of glycylglycine across the intestinal wall (Newey and Smyth, 1959), and subsequent reports that measured higher rates of absorption for amino acids when presented in the form of peptides than as free amino acids (Adibi and Morse, 1971; Matthews, 1983). From these and other studies (Matthews, 1991), it was understood that the absorption of protein in the form of small peptides was of tremendous nutritional importance. More specifically, most nutritional physiologists now accept the concept that about 70-85% of all luminal amino acids are absorbed from the digesta into enterocytes in the form of small peptides from the digesta, with the balance being absorbed as unbound (free) amino acids. After absorption into enterocytes, however, it is thought that about 85% of all absorbed amino acids appear in hepatic portal blood as free amino acids, as a result of intracellular hydrolysis (Matthews, 1991; Ganapathy et ai, 1994).